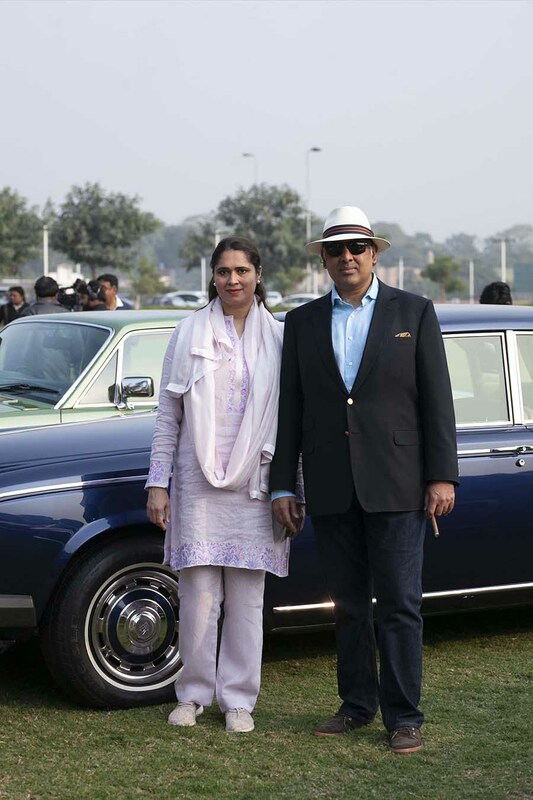 Politician and business leader Adnan Hayat Noon is a passionate collector of classic and vintage cars and one of the most prominent members of the Vintage and Classic Car Club of Pakistan (VCCCP). 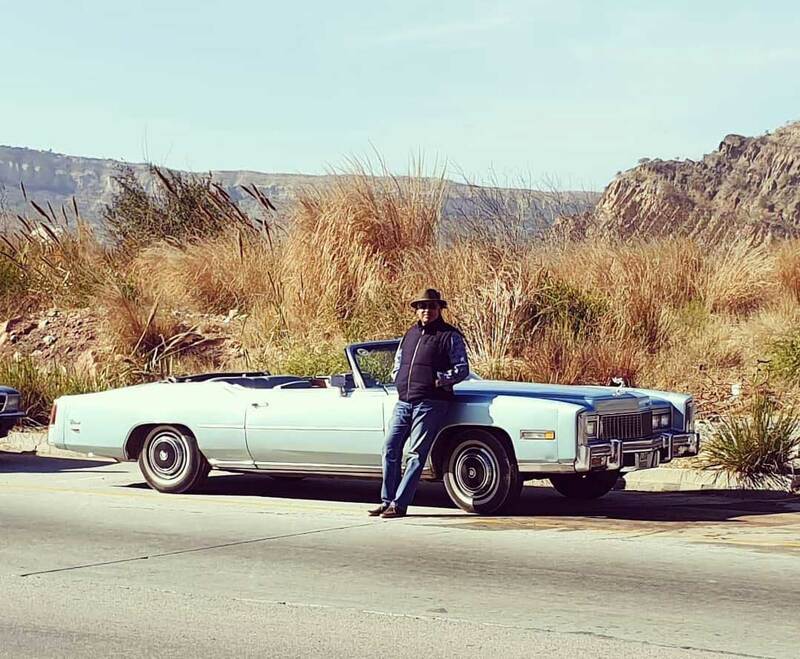 In an exclusive chat with DESTINATIONS, he reveals the how, why and what of owning a classic car in Pakistan. When was the VCCCP formed? Tell us briefly about its activities and its core members. VCCCP was formed in the late 80s. It is Pakistan’s only organized and formal association of people with a passion for classic and vintage cars. The official goal is to preserve Pakistan’s heritage on wheels and to show the world our collection of fine historic and collectible automobiles. It aims to put Pakistan’s best foot forward, which has resulted in Pakistani cars winning both top positions at the Kuwait Concours. How did you develop a passion for vintage/classic cars? Is it something you inherited from your father? I have been fascinated by cars since my early childhood. When I was growing up in Lahore back in the 70s and 80s, Japanese cars were capturing the market from American, British and German cars. I had a friend whose older brother owned a very special British racing car, a 1950s Jaguar XK120. My friend and I used to sneak the car out and go for a drive. One day, driving back to his house, my friend rammed it into his gate and that was the end of our fun drives in this rare classic. Back in the 70s my father also owned a Triumph Spitfire and a Ford Mustang, which were both convertibles and are now considered classic cars. My dream was to own and drive similar cars when I grew up. What makes a car a vintage or a classic? The rule of thumb is generally age, but with our limited access in Pakistan, we are a little more localized in our definition. Vintage can only come as a function of age, generally pre-WWII, but we now include pre-60s. Classics are generally thereafter till the 70s, but given our dearth and some icons, we include some global stars of the 80s and very selective globally recognized 90s icons as classics. Classics are sometimes born and are given that due respect world over and more so in Pakistan, given the shortage here and the restrictive auto import policy. What was the first vintage car you owned? When I got my driving licence, I was lucky enough to drive my uncle’s 1976 Cadillac Eldorado. This was the last of the American convertibles with an 8.2 litre engine. In America they discontinued convertibles in 1976 but years later they started producing them again. This car looks like a yacht on wheels. How many do you own at the moment and what models are they? Presently, I own two British sports cars, a 1958 Austin Healey and a MGB GT. Both are great fun on windy mountain roads. I also own a 1982 Austin Mini, which looks tiny but is quite spacious from inside and a fun car to drive. I also inherited a factory-built 1979 Cadillac Fleetwood Limousine, Buick Park Avenue and the 1976 Cadillac Eldorado convertible. How time-consuming is your hobby? Do you wish you could dedicate more time to it? Owning classic cars is quite a time-consuming hobby especially when you have a few. I like servicing, maintaining and fixing them at home with the help of my driver who loves going on the internet and learning how to do stuff. Now, he even makes his own videos fixing my cars and uploads them on YouTube for others to see and learn. I wish it were easier to source spare parts for these cars. What prompts your decision to buy a particular car? Do you like to delve into the history attached to the machine you end up with? I like purchasing a car which is original and has been looked after. It is always good to own a car which comes with a history. Each car has a story to tell. I also enjoy driving different types of classic cars. The feel of different era cars is different. The driving pleasure I get from the British sports cars I have is very different to the luxury American cars in my garage. How does your family feel about your hobby? Do they share your passion? 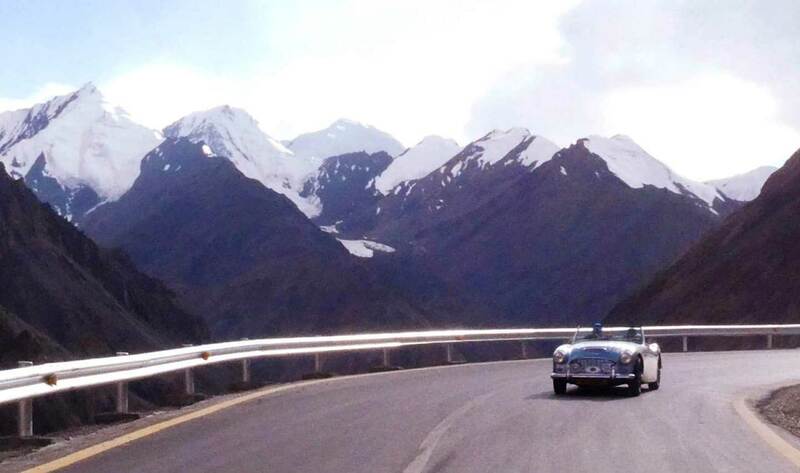 My sons, who started driving two years ago, have already driven these classic cars with me to the Khunjerab Pass, which is the highest border crossing in the world at over 16,000 feet. It helps when your family shares the same passion as yourself. Is it possible to find vintage cars in Pakistan or do collectors usually have to import them? Is there a marketplace to buy and sell them? Sadly, in Pakistan, we cannot import cars that are more the 3 years old. The previous government had initiated a change in policy whereby enthusiasts would be able to import classic cars that were manufactured 50 or more years ago. But unfortunately it has not been implemented as yet. If someone wants to purchase a classic car then the only way is to start searching for one in the country. Members of VCCCP are very happy in helping a newcomer as they have information on all vintage and classic cars in the country. How was the experience of participating in the recent VCCCP rally? It is always fun participating in the VCCCP rally. This way, we get to see classic and vintage cars from different cites being driven on the roads, going from one end of the country to the other. It provides an opportunity for anyone and everyone to come and see these cars at the car shows organised in different cities along the route of the rally. I also enjoy meeting all the classic car owners who range from teenagers to the elderly and from different professional backgrounds gathered due to one common passion, which is a love for vintage and classic cars.